Press Room » FSCJ Artist Series Presents Million Dollar Quartet, March 15 at 7:30 p.m.! 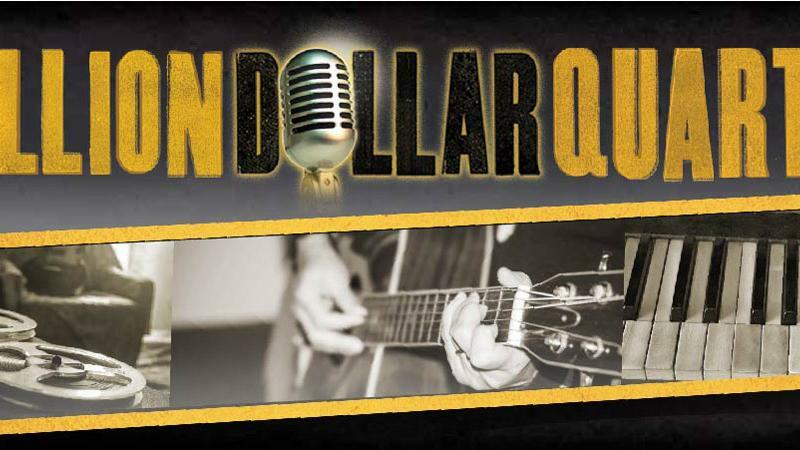 FSCJ Artist Series Presents Million Dollar Quartet, March 15 at 7:30 p.m.! MILLION DOLLAR QUARTET is the Tony® award-winning Broadway musical, inspired by the electrifying true story of the famed recording session that brought together rock ‘n’ roll icons Elvis Presley, Johnny Cash, Jerry Lee Lewis and Carl Perkins for the first and only time. The Tony® Award-winning Broadway musical Million Dollar Quartet, inspired by the electrifying true story, rocks the Times-Union Center on March 15, 2018 at 8 p.m. Tickets are on sale now online, by phone and through our box office. For more information, visit fscjartistseries.org or call (904) 632-5000. On December 4, 1956, an auspicious twist of fate brought together four young musicians – Johnny Cash, Jerry Lee Lewis, Carl Perkins, and Elvis Presley. Sam Phillips, the undisputed “Father of Rock ‘n’ Roll” who was responsible for launching the careers of each of these icons, gathered the four legendary singer/songwriters at the Sun Records studio in Memphis for the first and only time. The result? One of the greatest rock ‘n’ roll jam sessions in history. Million Dollar Quartet brings that unbelievable musical moment to life with an irresistible tale of broken promises, secrets, betrayal, humor, celebration, unforgettable performances of such timeless and enduring hits as “Blue Suede Shoes,” “Fever,” “That’s All Right,” “Sixteen Tons,” “I Walk the Line,” “Great Balls of Fire,” “Folsom Prison Blues,” “Whole Lotta Shakin’ Goin’ On,” “Hound Dog,” and more. The four music icons of Million Dollar Quartet are portrayed by Daniel Durston as Elvis Presley, Taylor Gray as Jerry Lee Lewis, Austin Hohnke as Carl Perkins, and Peter Oyloe as Johnny Cash. Andy Ingalls plays Sam Philips. The cast also features Tiffan Borelli as Dyanne, Bill Morey as Brother Jay (Jay Perkins), and Jon Rossi as Fluke. The show is directed by Susanne Boulle, and features a book by Colin Escott and Floyd Mutrux, with original concept and direction by Floyd Mutrux. The creative team includes Hana Lee Goff (Scenic Design), Lee Alexander Martin (Costume Design), Andrew Morehouse (Lighting Design), Tony Angelini (Sound Design), and Jon Rossi (Musical Direction). Million Dollar Quartet won a Tony® Award for Best Performance by a Featured Actor in a Musical and received two Tony® nominations, one for Best Musical and one for Best Book of a Musical (Colin Escott and Floyd Mutrux). The show received an Outer Critics Circle Award for Outstanding Featured Actor in a Musical, a Drama Desk nomination for Outstanding Musical Revue, and three Drama League nominations including Distinguished Production of a Musical and Distinguished Performance. 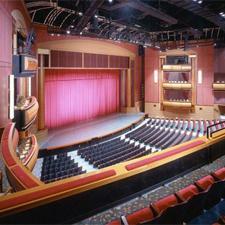 Million Dollar Quartet is produced by Gershwin Entertainment, in association with the Barter Theatre. General management is provided by Dhyana Colony/Colony Creative Group.